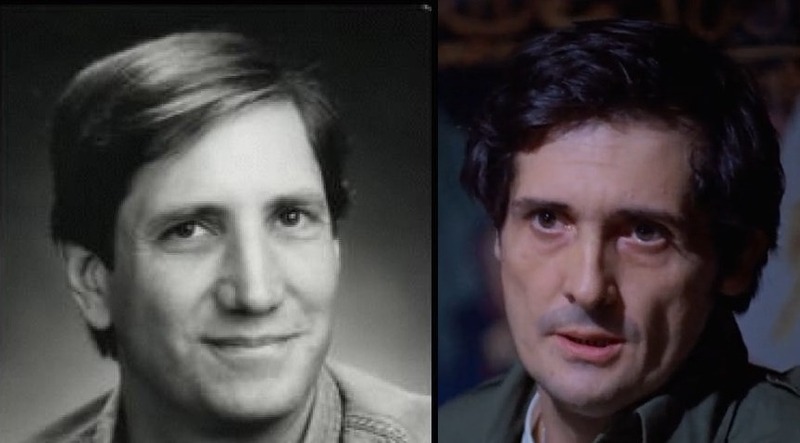 Also interesting is the fact that Jason Miller, who played Father Karras, resembles Stephen Russell (who of course voiced Karras), don't you think? Last edited by Yandros; 30th Mar 2018 at 10:46. Not sure how well known it is but one can continue to pick a lock without having to hold in the use key. To do so highlight the door/chest, press the use key while the inventory display is empty (or set to any non key-like item), cycle to the lockpick and then release the use key. Very satisfying when one finds something that has a 15+ second lock stage. Seemed hardly believable so I thought it was AF joke. Will give that lockpick thing a try. A real April Fool would be to say that while the area directly under Ramires' mansion is blocked off in T1's Lost City, if you go there in T2 it is accesible and turns out to be his burrick pit. The ancient version of it I mean. Well, since they share the same map Ramires's mansion might well sit on top of something you can get to in either T1 or T2's Lost City. Maybe I'll check that out next time I play either game. Also must give that loot shatter thing a try. Keep forgetting. Yeah there was a FM with a giant invisible creature upstairs in a mansion. I let it loose, rampaging and killing guards, after making it follow me into the down stairs display room for of treasures. I shut off the lights so it wouldn't see me and just take out guards coming in that heard the commotion. Finally I wanted to take it out so started launching arrows where I thought it may be standing and one hit a lootable vase and it disappeared with a breaking sound. I had at least a hundred hours and 2 playthroughs done before I realised the small bots in Thief 2 can't even see you... I told a mate and he didn't realise either. The second biggest would be that there's an area in The Sword that has a massive green thing and if you shoot it with a broadhead arrow it drops onto the sword and so you can pick it up from the ground level. Blew my mind. 250+ hours and never knew about this area or trick. It was vaguely familiar I think I may have found it first playthrough 3 years ago but never knew shooting it did anything. Also it took me a damn long time to find out you can shoot the cameras in Cragscleft to disable them and make the level a lot easier. Also that there's a way to get to the open bit up high at the beginning of Cragscleft. And how the hell the cell opening mechanisms work in Cragscleft, as in what order. And that noisemaker arrows aren't useless in Thief 2. And how to get 100% loot in the training level in DS. And that in Thief Gold your character model is a tofu. Last edited by IAmTheWalrus; 14th Apr 2018 at 00:49. 1 and 2: Did not know either of these things. 3: Still do not understand the logic in the switches. Every time I think I've figured it out, the information instantly loses usefulness because I'm done the level, and I always forget what I did before the next time I play it because I generally run through the OMs once a year at most. I imagine a vertical line between each column of switches. The line between the two columns of three switches represents the hallway on the lower level (six cells), while the other line represents the hallway on the upper level (four cells). Each switch has a black gap where the red handle can move back and forth. I associate the black gap with the black bars of the cell door, and the red handle with the prisoner. If the "bars" are between the "prisoner" and the "hallway," then the door is shut and the prisoner is trapped; otherwise, they are free to leave. Earlier discovered for the first time that the game won't let you walk off high edges if you are moving either backwards or sideways. Have to traverse a very thin walkway very high up? Don't touch W, just walk backwards or sideways and have no fear of falling off. Did you know that enemies with a pick-pocketable health potion can use it to restore health? Or at lest this appeared to happen with a mechanist in T2's Kidnap. Was whittling him down with arrows when I heard the gulp sound of a potion being drunk. Wondering now if this is a known thing, or whether I imagined it. Last edited by Cigam; 9th Sep 2018 at 18:44. It's a known thing, but most of us don't see it because attacking an AI like that is quite rare. If you play the entire game backwards at midnight, Ozzy Osbourne will arrive at your house and promptly block up your u-bend. I noticed recently when beta testing the if you kill an enemy on hard ground such as stone or marble the blood stain remains on the ground, but if you do so on a carpet the blood soaks into the carpet and disappears entirely. Anyone find that bow upgrade in the Alarus Extension in Bonehoard? Still can't get it, I've heard it's mega thick! Are you sure that is not an FM effect? In T2 the blood seems to stay there on grass and on the rugs in Masks. Not sure what the cause is. I noticed it when beta testing one of The Black Parade missions and brought it to the attention of Skacky. He hasn't set the the blood stains up that way, he didn't even know about this effect. Since then I have noticed this happens in a number of other missions but would not suggest it happens in all missions. I'm not a Dromer so can't say if there are various blood stain options available to authors but if there are that may explain the difference. Intended to cause blood stains to not pile up so much, while still leaving a reasonably high duration possible for those which do stick around. Sadly it has nothing to do with the surface a blood stain is on. Thanks vfig, that cleans up that effect, and I assume the OM's do not have the DamnSpot archetype which would explain why blood does not soak into surfaces in the OM's.